How can I end a Coupon promotion? All the scheduled social media posts will stop going out once you end a Coupon promotion campaign. 1. 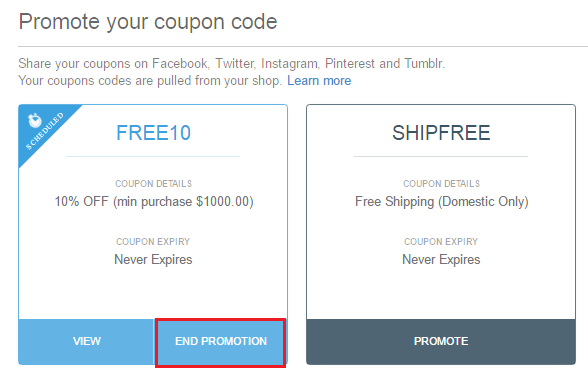 Go to Coupon Code under Marketing in your Socioh dashboard (www.socioh.com -> log in). 2. Click on End Promotion for the coupon that you’d like to stop promoting.